Enron, Kenneth Lay and George Bush both Junior and Senior have a very close friendship with many mutual business dealings. 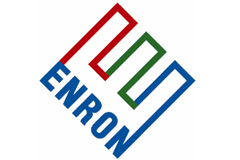 Finally after over 4 years, the Enron trial begins. It will either be a rude awakening to America of the extent of corruption in our government, or it will be swept under the rug by the enormouns money and power of the Bush Dynasty.